Add this statement cuff to your collection for the perfect night-out piece. 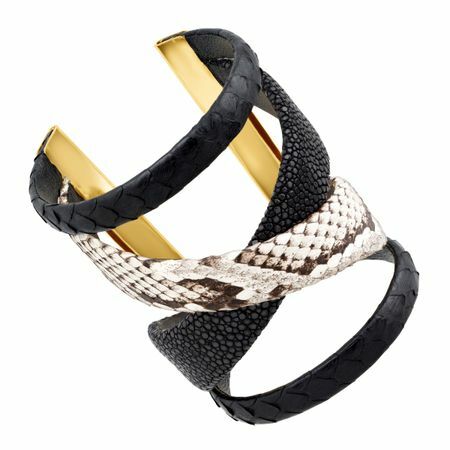 Genuine black stingray and white python leathers crisscross in this open-faced cuff, capped on either end with shining 18K gold-plated brass. Piece measures 7 by 3 inches.